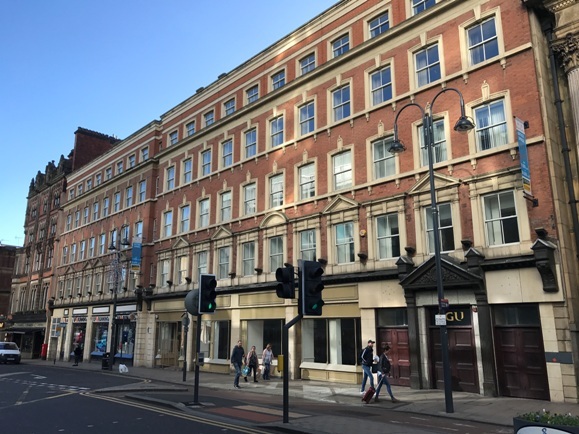 The Leeds office of leading global property consultancy Knight Frank has advised LJ Real Estate on the purchase of 34 Boar Lane in Leeds city centre for £9.58 million. LJ Real Estate has expanded its portfolio into Yorkshire, with the acquisition of its first property in Leeds from Regional REIT, managed by London & Scottish Investments. The family-backed investment group has bought the 51,000 sq ft modern office and retail building (formally known as CGU House) in Boar Lane, immediately opposite the railway station and Trinity Leeds shopping centre. Eamon Fox, partner and head of Office Agency at Knight Frank Leeds, said: “We have been collaborating with LJ Real Estate for over three years to find the correct property in Leeds to purchase. “34 Boar Lane will be substantially redeveloped and will look to incorporate the principles of a diverse community of like-minded people shaping a place together, with connected environments: digitally, physically, socially, but within a design-led, tech-savvy quality space for occupiers to work in. “We have ambitious plans for 34 Boar Lane as we look to transform this well-positioned building into an exciting workplace at the forefront of the Leeds market. For the moment, we are keeping our powder dry on the finishes and designs we will deliver, but be prepared, we are planning something very special. We will reveal more shortly. “This is another excellent example of the strength and buoyancy of the Leeds office and investment market. Last year all sorts of records were broken in this sector and this year has started off exceptionally well. The team developing 34 Boar Lane is led by directors Sam Lawson Johnston and George Haddo – the driving forces behind the family-backed investment group LJ Real Estate – whose portfolio includes a unique cluster of five historic buildings that make up The Albert Estate and nearby Canada House in Manchester. LJ Real Estate is a dedicated team (within LJ Partnership) which focusses on UK Cities, which actively invests its own funds and that of entrepreneurs and wealthy families in the real estate sector. It has a strong track record of acquiring and transforming well-located commercial properties.